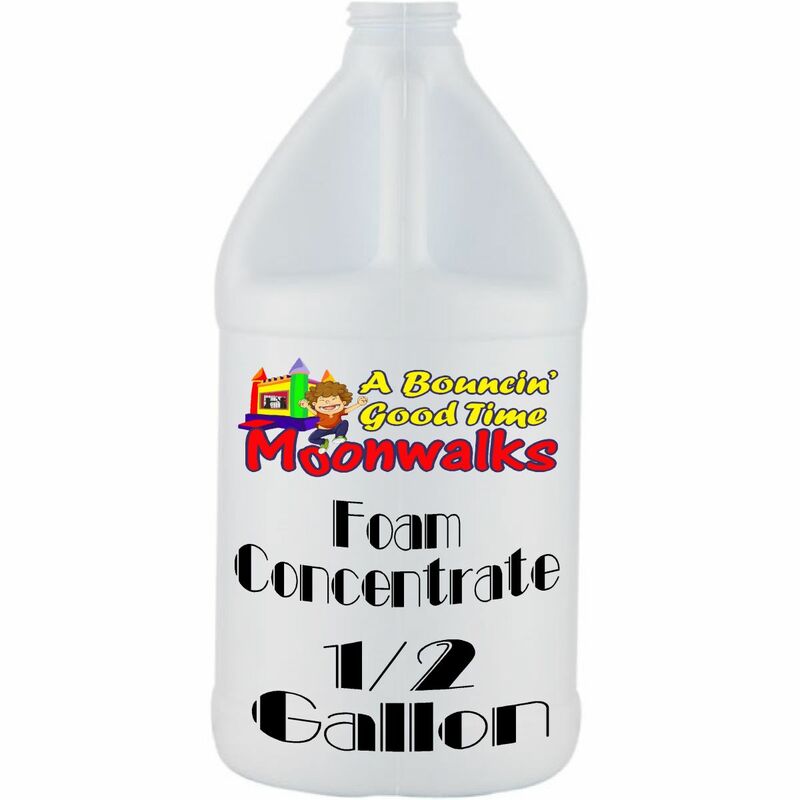 1/2 gallon bottle of foam concentrate adds another 1to 2 hours to your foam fun. Double stack foam concentrate is twice as strong as other comparable foam fluids. It stacks higher and produces a dense foam while using half the amount of concentrate. A mixture of 1/2 gallon of foam fluid to 50 gallons of water is all that is needed for a 2 hour event. Great for college parties, backyard parties, day care events, birthdays and private events. Our foam fluid is non toxic and non allergenic and is safe for all ages, also it will not harm grass or plants.